Use the power of creative thinking to become more attractive with a makeover of your mind! It doesn't need a high IQ, or reams of knowledge, or a great personality. All it needs is creativity, imagination and empathy - all techniques that anyone can learn. 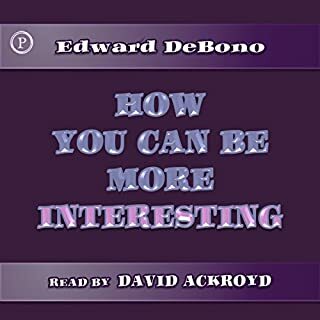 Here Edward de Bono, world-famous for changing the way people think, shows you in a clear, practical language how to impress people with simple conversational tactics. Want to be irresistable? 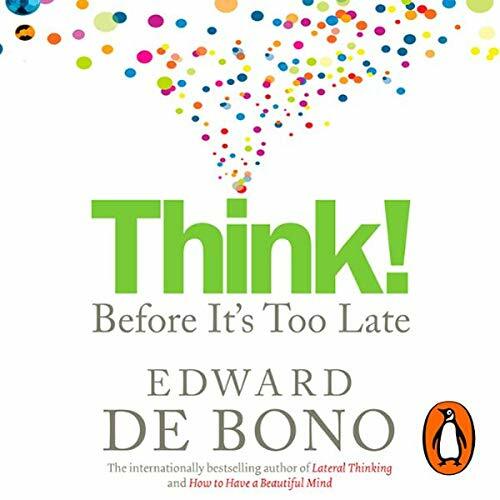 Then follow de Bono's advice. The world is full of problems and conflicts. So why can we not solve them? 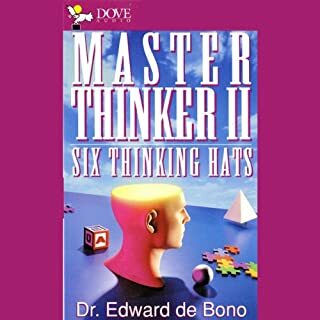 According to Edward de Bono, world thinking cannot solve world problems because world thinking is itself the problem. And this is getting worse: we are so accustomed to readily available information online that we search immediately for the answers rather than thinking about them. Our minds function like trying to drive a car using only one wheel. There's nothing wrong with that one wheel - conventional thinking - but we could all get a lot further if we used all four. 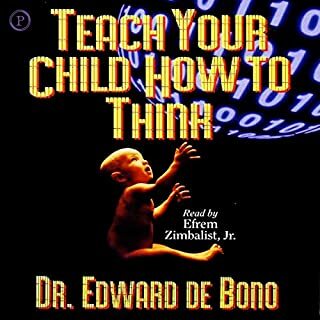 De Bono examines why we think the way we do from a historical perspective and uses some of his famous thinking techniques combined with new ideas to show us how to change the way we think. If we strengthen our ability and raise our thinking level, other areas of our life - both personal and business success - will improve. 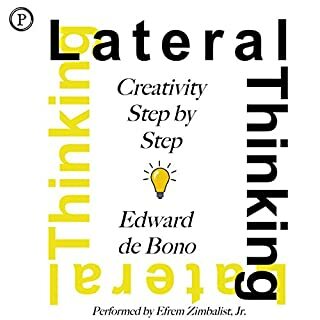 De Bono is the master of the original big 'concept' book and his enticement to us to use our minds as constructively as possible should appeal to a whole new generation of fans. Great book with valuable insight. From self generated ability to improve creative thinking which, improves critical thinking... to Teamwork and problem solving strategy... This book is awesome and the information contained within it, in my opinion is absolutely necessary. This book presents an interesting overview of his new perspectives on thinking and language, as long as you overlook his arrogance. 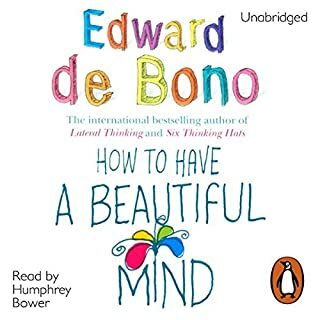 What has been made clear to me about this audiobook is that the ability to think is completely separate from the ability to care about the presentation of one's work or one's individual work ethic. The performance on this work is absolutely abysmal. It is clear that no one reviewed before publishing this audiobook either, because the repetition of certain sentences and paragraphs is readily apparent. The narrator also does not emphasize properly for ease of understanding concepts and reads too quickly. (Audible can speed audio up if we want that) i'm certain of this book is probably at least 5 to 10 times better in print... 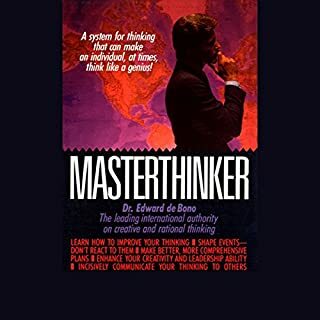 But it shines through that DeBono certainly has an ego and clearly did not care enough to ensure that the audiobook based on his work had any level of quality to it. Ultimately this came across as an advertisement that I unfortunately paid for with regards to buying other learning materials from the DeBono foundation. Provides easy practical tools for thinking. A must read for any person who needs new ideas. Summary of previous work, annoyingly written. Resonable summary of his previous work. If you are not familiar with his work then the book isn't bad. There are some phrases in the book which the author uses repeatatively, which grates after a while. Also De Bono continues to go on about his achievements which is also very annoying. Summary: good ideas, annoyingly written. Think - before you buy! The guy is just a charlatan. He 'adopts' previous 'good ideas' but does not provide any convincing examples of ideas that were the result of his methods.